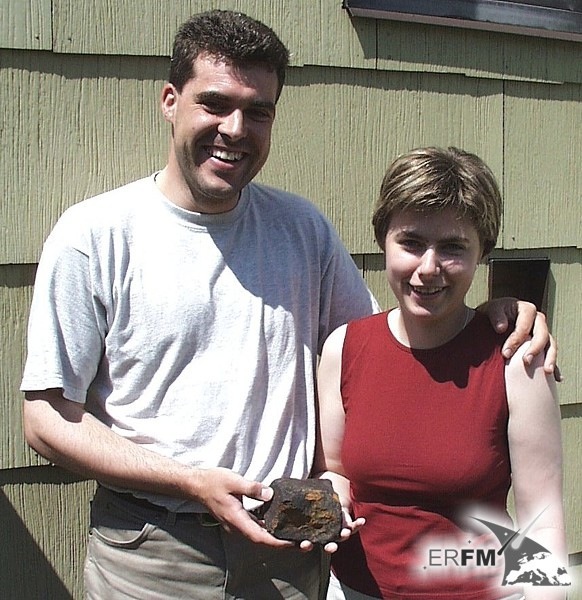 The European Research Center for Fireballs and Meteorites (E R F M) got its current official name only in the year 2008. But already in 1998 started everything step by step with the first activities. In the year 2004 Thomas Grau founded an initiative called "Ausgangspunkt Erde" and began to act and organise financially independent from other institutions. Now he is directing the still quite small team of the ERFM. This institution addresses oneself to the task to document events of detonating fireballs respectively sporadically occurring meteorite falls and to examine as accurately as possible. In doing so the area of operation is confined to the European continent as already indicated by its name. An interdisciplinary collaboration is expressly intended with those other European research institutes, which can help to reach the objective to document and examine current events and phenomena in a better way in order to improve the state of knowledge. As well the ERFM depends on active support from the people, as soon as one of these infrequent and wonderful moments of a fireball event occurred. Important partner organizations in the field of research of the ERFM are the European Fireball Network (EN) and the International Meteor Organization (IMO). Greatest results were achieved in connection with the meteorite fall events of Neuschwanstein (Germany), Villalbeto de la Pena (Spain) and Puerto Lapiće (Spain). By our knowledge and know-how and particularly because of our prudent and responsible action in all cases, in which the ERFM was involved, the discovered meteorites not only could be ensured for several national museums. Primarily also the European research institutions were benefiting from the fact that almost all recoveries were available for examinations and analyses already shortly after the fall events for free or with little effort. Also a significant factor is the general social benefits, which is generated by our field of activities. Over and above to the extraordinary scientific benefits also cultural values are secured for the public, regional history is getting new facets and in our opinion at any time it produces a fruitful educational advertising and an arousal of interests. In addition to these outstanding events and results of our work, there are also other, more day-to-day activities. On one hand we are trying to support the EFN with a new observation technology. We always try by all means to document quickly current events, in order to estimate its potential and significance. The evaluation of witness statements is a part of workaday activities as well as writing reports, giving lectures or further education in order to finally resolve cross-disciplinary issues and problems. But also failures, in which could not be found any meteorite after a long effort, are belonging to our work. However these are important experiences to estimate new situations more accurately. Using the working results of the ERFM it was already possible in two cases to verify and to enhance a meteor event calculated by the EN with completely independent data, in which interesting differences and facts were emerged. 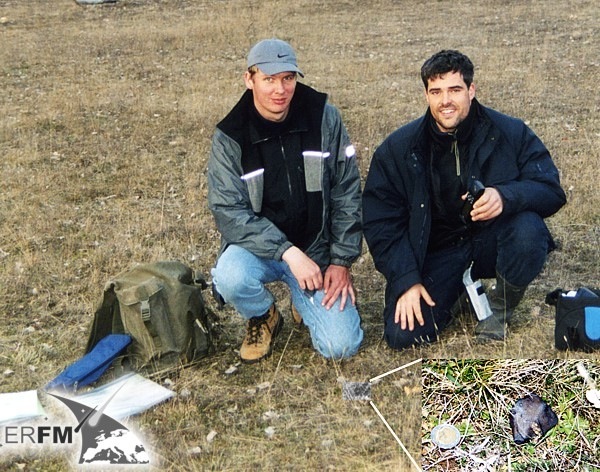 In 2002 succeeded Nadin Bukow and Thomas Grau to recover the first specimen of those fall event for, which occurred in the German-Austrian border area close to the backdrop of the famous castle of Neuschwanstein only three month before and therefore it was ensured for science. This initial success, virtually the beginning of the ERFM, was only possible because that bolide was photographically recorded by the European Fireball Network (EN) from different perspectives and could later successfully be calculated on this basis by the EN. Only by an intensive and close cooperation of all involved partners, all issues could be resolved, so ultimately the newly arrived material from space could be quickly ensured in an intact way. The successful calculation of the strewn field based on photographical evaluations could be achieved only the second time in Europe. 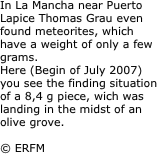 Also in another case of a meteorite fall event in Palencia (Spain) in 2004, in which the first fragments of the meteoroid were found shortly after the occurrence, Thomas Grau and Steffen Jacobsen could exactly examine the entire drop area in several expeditions which lasting for month. In this case the composition of the vegetation permitted good opportunities for field studies. For science this meant 13 fresh specimen of meteorites and 2.2 kg material of a total know weight (TKW) 5.5 kg for further examinations. During these search expeditions many fundamentals were tested and developed for later recovery operations. In cooperation with all other finders and thanks to the very manifold database to the bolides event itself it was made possible a very detailed and interesting strewn field study. 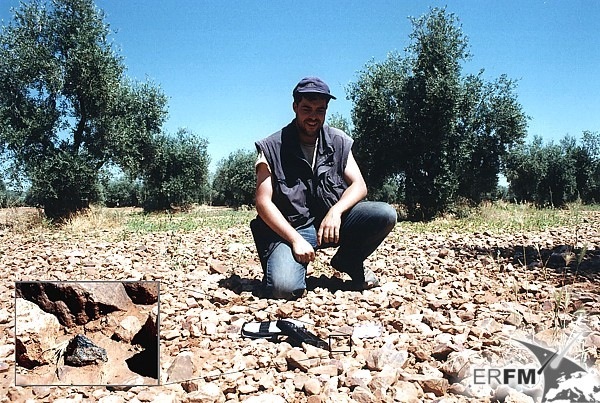 In 2007 Thomas Grau could achieve a truly historic success in the exploration of fireball events with the discovery of a meteorite event in La Mancha (Spain), which was of relatively small dimension. 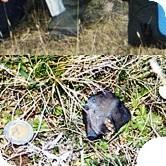 Just four weeks after the event he located the right area and was able to recover the first small specimen of only 5 g. With this Thomas Grau was the first scientist, who succeeded to discover exactly a case of meteorite fall and its area only by systematic interviewing of the witnesses. His mode of operation, which is to document subjective observation statements under controlled conditions and thereafter to convert into a scientific context, was successful. 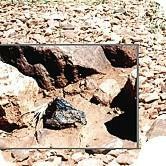 This was a fair proof, that it is possible to calculate a meteorite fall event on this base. In addition it was still the fact that the discovered material was very interesting for planetary scientists, because it is a regolith, whose origin is suspected of the minor planet Vesta. Just a quick exploration on the spot provided the opportunity to examine the entire drop area. 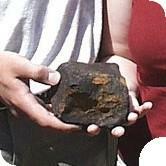 Thereby in two expeditions were found 15 samples, and also the supposable main mass of only around 100 g.